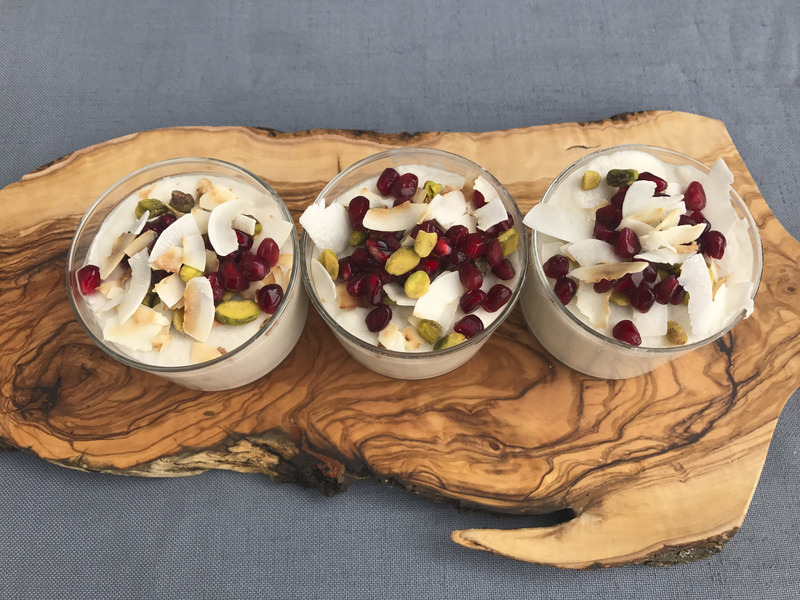 Two desserts with little pomegranate seeds that say ‘I love you’ – J. In the Jewish tradition, pomegranates represent love, fertility and beauty — so whether or not you celebrate Valentine’s Day, you should share these pomegranate-accented desserts with someone you love. 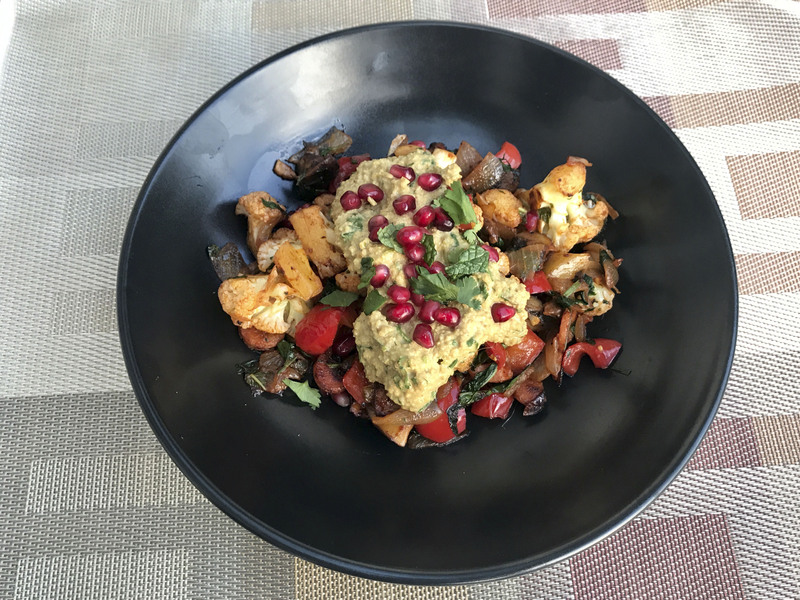 After all, colorful pomegranate seeds, with their sweet and sour crunch, are like adding a sprinkle of romance to just about any dish. 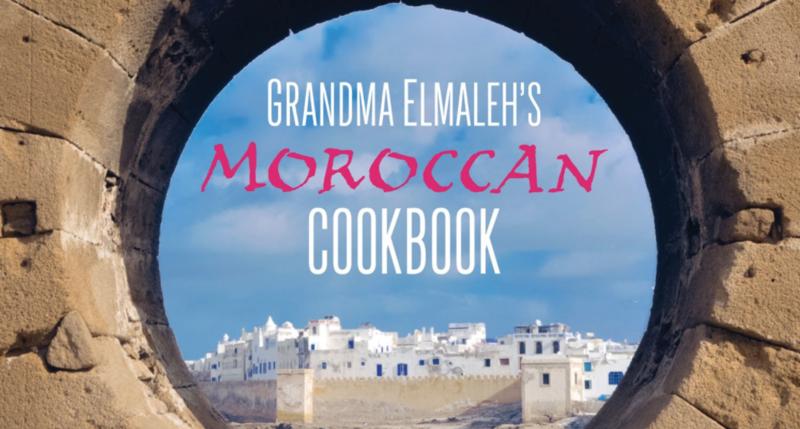 These recipes, which are parve, are by Lebanese Jewish sisters Vicky Cohen and Ruth Fox from their 2018 cookbook “Tahini & Turmeric: 101 Middle Eastern Classics — Made Irresistibly Vegan.” The sisters were raised in Barcelona and now live in the United States. The cheesecake uses cashews and tahini as its base and has a pistachio crust and a chocolate drizzle. 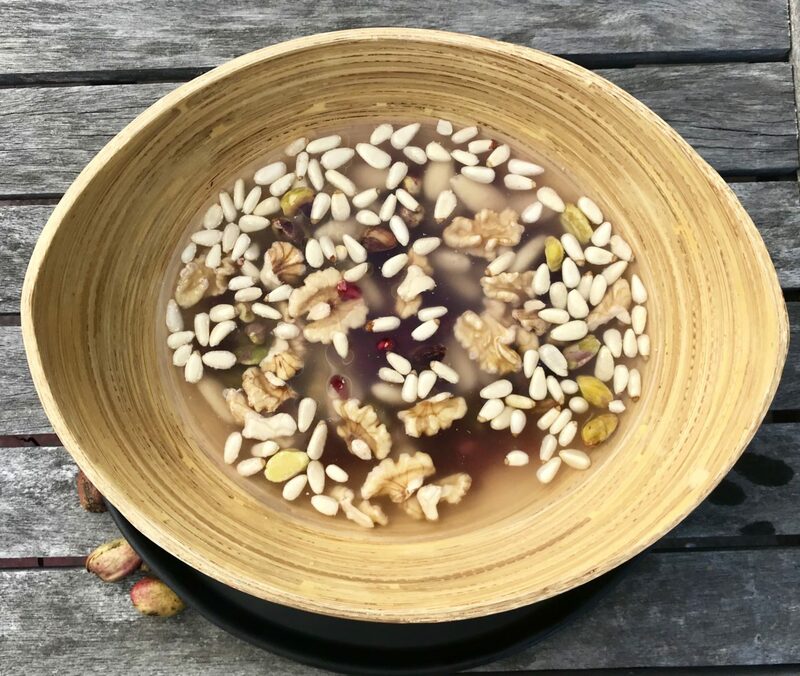 The rose water dessert mixes nuts and pomegranate seeds in a lightly sweetened syrup. Look in refrigerated produce sections for packages of pomegranate seeds; defrost, drain and pat dry frozen seeds; or extract your own from the whole fruit (for tips on doing this easily, visit tinyurl.com/pom-open). The recipes below are adapted for style and space, and they reflect my experiences in making them. Place the almonds, walnuts, pine nuts and pistachios in separate bowls. Cover with water and soak for 3 to 4 hours. Drain and discard water. Rub almonds to remove skins. Combine all the sugar with 2 cups water in large bowl. Stir until sugar dissolves. Add rose water, nuts and pomegranate seeds. Refrigerate. Stir and serve cold. Place cashews in heatproof bowl. Cover with boiling water and soak 30 minutes. Drain. Discard water. While cashews are soaking, prepare crust. Combine 1 cup pistachios with dates and 1 Tbs. of tahini in food processor. Pulse until combined but still a bit chunky. Press evenly into the bottom of a 7-inch springform pan. Crust should come about halfway up the pan’s sides. Refrigerate until filling is ready. Prepare the filling by pulsing the soaked-then-drained cashews, ½ cup tahini, maple syrup, melted oil, non-dairy milk, lemon juice and vanilla in food processor until smooth, scraping sides as needed. Stir in remaining 2 Tbs. pistachios and pour into prepared crust. Cover with plastic wrap or foil and freeze for 1 hour. Remove from freezer and keep refrigerated until ready to serve. Remove cheesecake from refrigerator. Take off springform pan’s sides, using a knife to loosen if needed. Drizzle top of cake with chocolate-coconut oil mixture. Sprinkle with pomegranate seeds. Serve immediately. Notes: I successfully substituted an 8-inch springform pan. Getting the cashew mixture smooth in the food processor took about 5 minutes. If Medjool dates are not available, use 20 of any other type of pitted, dried dates.